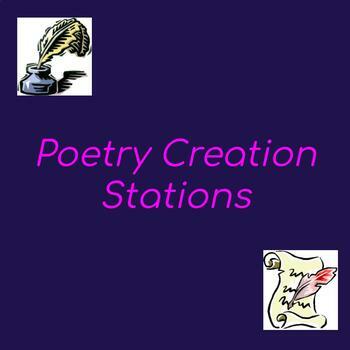 A list and descriptions of different poetry creation stations for my students. 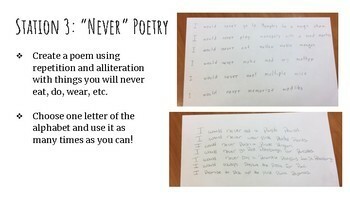 I use this at the end of my poetry unit to let them be creative and try out some of the poems that we had been discussing. 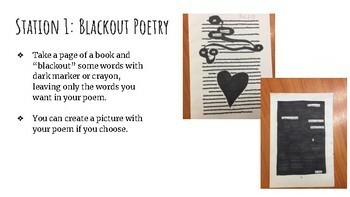 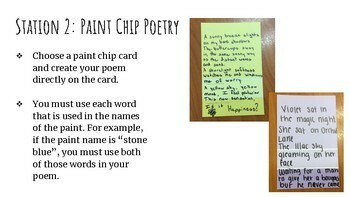 It is a slideshow with 6 different poetry station ideas and examples.